Running Back looked like a glaring weakness for the Green Bay Packers before the 2017 draft, and a little over a year later, looks like a major strength. The rookie years Aaron Jones and Jamaal Williams had without Aaron Rodgers should make Packers’ fans very excited to see what they can do with #12 under center. Aaron Jones: Jones has the quickness and vision to be a star in this offense. There are some cuts he made last year that make you think he could be the long-term answer at RB for Green Bay. Jones will have to continue his development as a pass blocker to steal the 3rd down snaps from Ty Montgomery, but he should be a one of the main reasons the Packers offense is dynamic in 2018. Jamaal Williams: I don’t see the same explosion out of Williams I do with Jones, but he uses great patience, strength, and balance to gut out a lot of yards. He’s a good receiver out of the backfield, and will make plays when spelling Jones. I really like Williams as the primary 1st and 2nd down backup, but get far less excited if Jones is hurt for any extended period of time. I think Williams fits the bill as an ideal backup in the NFL. 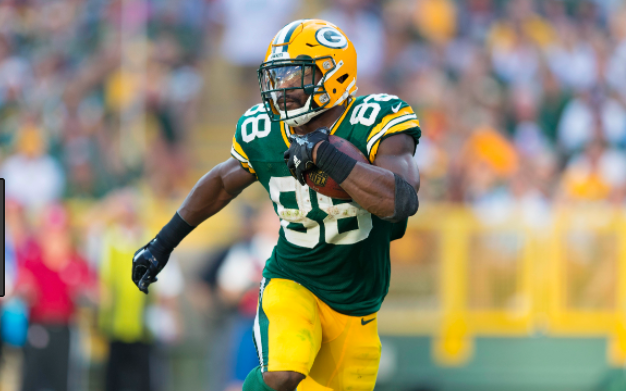 Ty Montgomery: Montgomery seemed destined to be the bell cow back in 2017, but injuries and ineffectiveness limited his production. He may have slipped as far as number three on the depth chart, but he still has the ability to be a factor in both the run and pass game. I believe his ideal role is as a third down back, but he has the durability to get touches in early down situations. Devante Mays: Mays career got off to an atrocious start, with two lost fumbles in his first two carries. He still has some upside as a bulldozing back, but it is unlikely the Packers will carry four RBs on the active roster. Mays would still be eligible for the Practice Squad and could make contributions if there are injuries to any of the top three. Joel Bouagnon: Bouagnon is another big guy who is tough between the tackles. He spent his 2017 rookie season injured, and was picked up by the Packers as a free agent in January. He’ll try to catch on to the Practice Squad with a big preseason. Aaron Ripkowski: Ripkowski is a physical blocker with the athleticism to carry the ball when needed. He’s also a major force on Special Teams. The Ripper seems to have a tentative grip on the starting Fullback role for now. Joe Kerridge: Kerridge is less flashy than Ripkowski, but is solid enough to give him a run for the starting FB role. He doesn’t have the running ability to be an emergency RB, but his blocking is effective and he’s turned into a core special teamer. With the depth at Cornerback and the possibility of keeping 6-7 WRs, the Packers will be hard pressed to keep two Fullbacks. This could be a really interesting training camp battle. 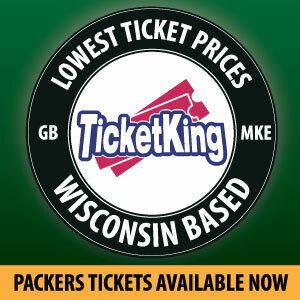 Running Back needs to become a position of strength for the Packers this season. It will help keep the pressure off of Aaron Rodgers, and give him some weapons to make up for a very young receiving corp. If the Packers can establish the running game and get passing game impact out of the backfield, they will return to being one of the best offenses in the NFL. This entry was posted in Andrew Mertig, Packers 2018-2019 Season and tagged Aaron Jones, Aaron Ripkowski, Green Bay Packers, Jamaal Williams, Joe Kerridge, running back, Ty Montgomery. Bookmark the permalink.